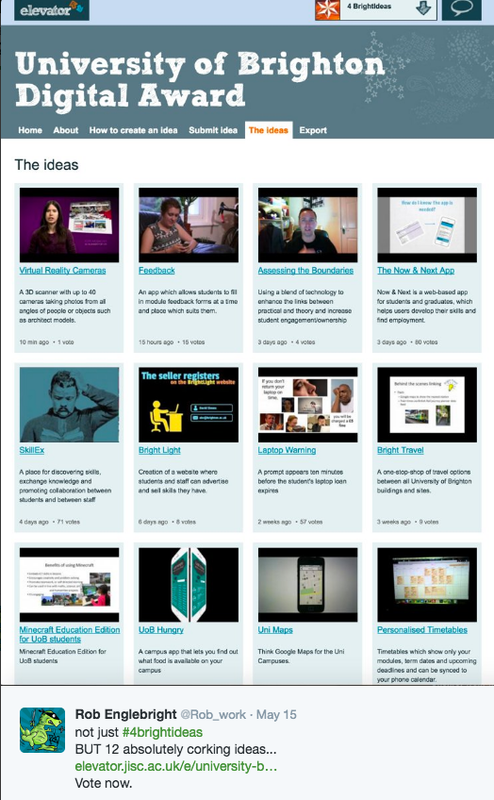 One of the best things I’ve seen Jisc do is the Summer of Student Innovation, SOSI. 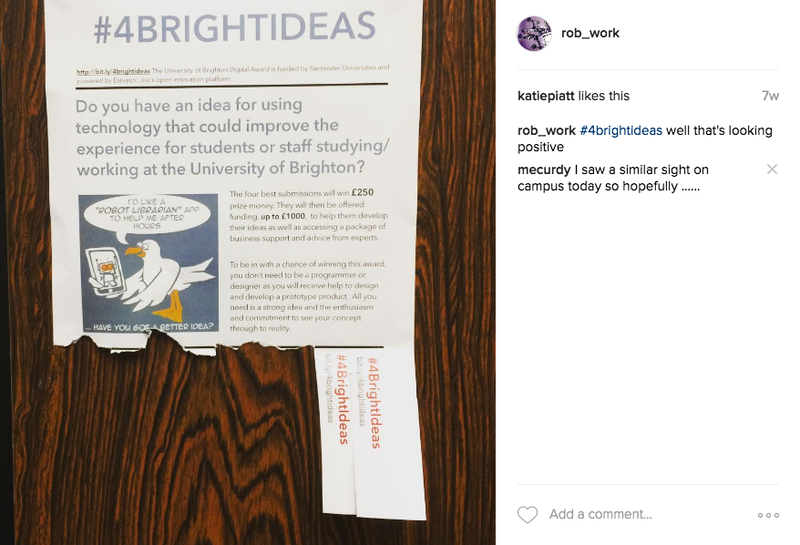 It’s based on a simple idea that students are often in a better position to point out how and where things can be made better in Uni life, and maybe are even best placed to action the solutions in terms of available time, energy and motivation. The first stage of the SOSI project uses an online “Elevator pitch” tool, so the overhead for submitting an idea is really low too, meaning even super busy students can grab their phone record an idea, and submit. 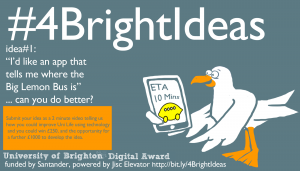 Because it’s such a good idea when we were asked by Holly at Santander Universities for some ideas on how to gather ideas for a “Digital Award” I instantly nagged Paul Bailey and Andy McGregor at Jisc to let me use the Elevator tool. Luckily they were in the process of turning the tool into a service, and our little competition had the potential to provide some useful feedback from a service user point of view. I’ll blog more on the pros and cons of the system once we’ve finished the competition, as I want to try the online marking tools. 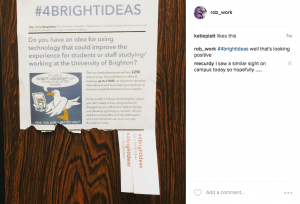 The top 4 ideas… the #4brightideas each get £250, the chance to join our Entrepreneurship Summer School, and if the idea is the sort that could be developed into an app or a service, then there’s another £1000 available to help build prototypes and whatnot. Anyway, our Digital award competition has reached the voting stage. So I thought I’d encourage readers of my blog to vote, even if you aren’t at the University and won’t benefit from the ideas. Share the ideas on social media, comment on the site, or send me any feedback.